Lay claim to one of the most relaxing spots in the house after you bring this casual recliner home. 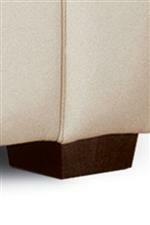 Push back reclining keeps this piece looking sleek and the wooden block feet give it a more elevated look. 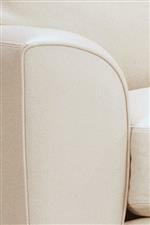 Welt cord trim decorates the half-arc arms which serve as a focal point of this recliner. The Kaden Casual Recliner with Block Feet by American Leather at AHFA in the area. Product availability may vary. Contact us for the most current availability on this product.